Marko Arnautovic was on the scoresheet for the fourth match in a row as he continued as the spearhead in the West Ham attack, while Diogo Jota demonstrated his eye for goal with a strike in Wolves’ 2-1 defeat at Derby County. Christian Eriksen was given another start in Tottenham Hotspur’s encounter with Barcelona in Los Angeles, while Southampton kept their first clean sheet of pre-season in a 2-0 win over Dijon. Newcastle United produced a backs-to-the-wall performance to draw 0-0 with Porto, meanwhile. Our latest instalment of Scout Notes rounds up the goals, assists, team news, injuries and tactical talking points from the five remaining pre-season friendlies contested over the weekend. It’s five goals in four pre-season friendlies for Marko Arnautovic (£7.0m), who already features in over a quarter of Fantasy Premier League squads despite his positional reclassification. Unlike Wilfried Zaha, another midfield star of 2017/18 who has been listed as an FPL forward for the coming season, Arnautovic has featured as an out-and-out striker in all of his appearances over the summer and led the line again at Portman Road over the weekend. Manuel Pellegrini’s starting XI looked near to full-strength, with Felipe Anderson and Andriy Yarmolenko (both £7.0m) flanking Arnautovic in attack and Jack Wilshere (£5.0m) once again playing in the central midfield trio. Anderson opened his West Ham account after just three minutes of the match in Suffolk, the Brazilian bundling home a teasing Ryan Fredericks (£5.0m) cross. Angelo Ogbonna and Fabian Balbuena (both £4.5m) looked shaky at the heart of the West Ham defence and were dissected far too easily for Ellis Harrison’s equaliser. The two centre-backs were bystanders again shortly afterwards when an unmarked Harrison headed against the post. Arnautovic’s winner was all of his own making, the Austrian collecting a Sead Haksabanovic pass in midfield and surging through the Ipswich defence to prod the ball past home goalkeeper Bartosz Bialkowski. Lukasz Fabianski (£4.5m) made his debut for the Hammers between the sticks. Declan Rice (£4.5m), listed as a defender in FPL, once again impressed in central midfield after replacing the mediocre Pedro Obiang (£4.5m) in the second half and is an “out of position” asset to monitor in the Hammers’ two remaining pre-season friendlies – albeit not one who would likely offer much by the way of attacking threat. Yarmolenko was switched to a “number 10” role after the introduction of Robert Snodgrass at half-time. Mauricio Pochettino assuaged fears of an injury crisis in his midfield after the International Champions Cup match with Barcelona at the weekend. Already without Dele Alli (£9.0m), Eric Dier (£5.0m) and Mousa Dembele (£5.0m) after their participation in the World Cup, Pochettino was devoid of the services of Erik Lamela (£6.5m) and Victor Wanyama (£5.0m) for Sunday’s match in Los Angeles and lost Moussa Sissoko (£5.0m) to a hamstring injury midway through the first half. Yes, I think it’s minor. Maybe he was a little bit tired, but I think it’s not a big issue. We will wait… the next few days to see what happened. Erik (Lamela) was, after the game against Roma, a minor muscle injury, that’s why he’s here with us and we hope he can play against AC Milan. Victor (Wanyama) has gone back with Tashan (Oakley-Boothe) to London to see the doctor. I think it was the same problem as last season in his knee. We will assess him in the next few days and see what happens. Sissoko had originally lined up in central midfield with youngster Luke Amos, with Christian Eriksen (£9.5m) starting in front of the pair in a 4-3-3/4-2-3-1. The withdrawal of Sissoko on 35 minutes forced winger Lucas Moura (£7.0m) inside, with substitute Georges Kevin-N’Koudou being stationed on the flank. The versatile Moura was to play as Spurs’ central striker in the second half after the exit of Fernando Llorente (£6.0m) at half-time. Ben Davies (£6.0m) started his second successive match at centre-back and, with Toby Alderweireld and Jan Vertonghen (both £6.0m) also yet to return from their post-Russia break, there is a strong chance the Welshman could line up at centre-half in the Gameweek 1 encounter with Newcastle United. Davinson Sanchez (£6.0m), at least, returned as a substitute in this match after his World Cup exertions. With Davies’ FPL appeal rooted in his ability to couple an attacking threat with clean sheet returns (no defender created more chances than Davies last season), his deployment at centre-back would perhaps strengthen the case of right-back Serge Aurier (£6.0m) as an early-season route into the Spurs backline. Eriksen went close with two free-kicks – striking the woodwork with one of them – as Spurs fought back from 2-0 down to take the match to penalties. Both of the Lilywhites’ goals came from blocked shots as Son Heung-min (£8.5m) and N’Koudou followed up efforts from Eriksen and youngster Anthony Georgiou. Georgiou missed the decisive kick in the penalty shoot-out as Barcelona ran out 5-3 winners. Diogo Jota (£6.5m) ended Wolves’ three-match run without a goal but couldn’t help his team to a first win in five, as Nuno Espirito Santo’s side fell to a 2-1 defeat at Pride Park. The match saw Joao Moutinho (£5.5m) make his Wolves debut alongside Ruben Neves (£5.0m) in central midfield and the new arrival seems set to share set-piece duties with his fellow Portugal international on the basis of what we saw at Derby over the weekend. Barry Douglas was, of course, a prominent figure at dead-ball situations last season but his shock departure for Leeds United in midweek has had a ripple effect elsewhere in the squad; his replacement, versatile debutant Jonny, is no stranger to playing in Douglas’s position but is predominantly right-footed and doesn’t offer that same teasing delivery from the left flank in open play. Moutinho’s deployment in the centre of midfield saw Romain Saiss (£4.5m) drop back to centre-half, where he has featured on umpteen occasions for Morocco. Jota’s strike, sandwiched by goals for Derby’s David Nugent and Mason Mount, came after Neves had struck the bar with a trademark long-range shot. Neves – who had 90 attempts on goal from outside the box last season – had earlier whistled an effort from distance just past the post. Leo Bonatini (£5.0m) and Raul Jimenez (£5.5m) both got 45 minutes as the spearhead of the Wolves attack, with Jota and Helder Costa (£5.0m) stationed either side. Ivan Cavaleiro (£5.5m) was Wolves’ only notable absentee this weekend and was said to have missed out with a knock – although speculation remains rife of a possible move away from Molineux for the Portuguese winger. Angus Gunn (£4.5m) has been promised further pitch-time by manager Mark Hughes after the young goalkeeper made his Saints debut in the 2-0 win over Dijon FCO at the weekend. He’s (Gunn) going to get more minutes in the next two games as well. I think that’s important. He’ll experience St Mary’s, and that will be a box ticked for him. Southampton entertain Celta Vigo and Borussia Moenchengladbach this week in their final two pre-season fixtures, with Alex McCarthy (£4.5m) seemingly still in pole position to start 2018/19 as the Saints’ number one – although Fantasy eyes will be on the respective minutes the two goalkeepers are given in the two forthcoming matches at St Mary’s. Cedric Soares and Maya Yoshida (both £4.5m) are yet to feature in pre-season following their World Cup exploits, although budget defender Jan Bednarek (£4.0m) did return to the Saints’ side after his own participation in Russia with Poland. Sam McQueen, another £4.0m-rated defensive asset, began on the right flank in Cedric’s absence. Having featured at centre-back in Southampton’s previous three July friendlies, Ryan Bertrand (£5.0m) returned to a more familiar left wing-back role and set up Shane Long (£5.0m) for the Saints’ opener. 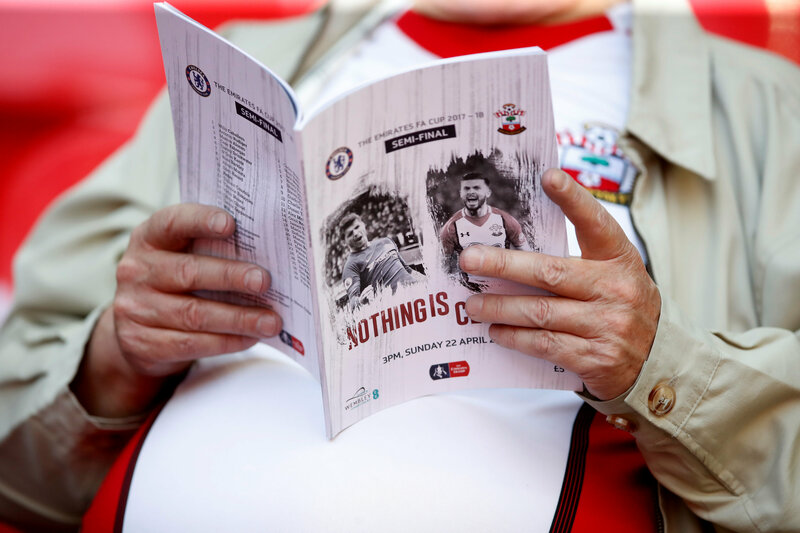 Long was replaced by Charlie Austin (£6.0m) at the break and the former Queens Park Rangers striker collected a fortuitous assist for Southampton’s second after his sliced volley fell into the path of Manolo Gabbiadini (£6.0m), who prodded home from close range. I thought it was important to get Shane back involved. He’s missed a little bit through injury, so it was good that he came back in. I thought Shane and Gabbi in the first half were really bright in their work and caused them a number of problems. Stuart Armstrong (£5.5m) began the match as the furthermost forward central midfielder, with Mohamed Elyounoussi (£6.5m) and Nathan Redmond (£5.5m) trialled in “the hole” in the second half. The reality is we have lost Lejeune – he has a cruciate ligament injury, so we will lose him for a while. He will need an operation, and he will need some time. We needed a centre-back before [Lejeune’s injury] and still we need maybe another one. It’s bad news about Lejeune but to see Fabian Schar doing well is important; he will give us this extra option we didn’t have. Schar (£4.5m) could be the main beneficiary of Lejeune’s prolonged absence, having joined the Magpies from Deportivo La Coruna last week. The Swiss defender made his debut as a 62nd-minute substitute for Ciaran Clark (£4.5m), who will also have designs on that second centre-back spot alongside Jamaal Lascelles (£5.0m). Martin Dubravka (£5.0m) produced a heroic display between the sticks as the Newcastle goal led a charmed life, with Porto hitting the woodwork on two occasions. Dwight Gayle (£6.0m) could be set for the exit at St James’ Park, meanwhile. Joselu (£5.0m) started his third successive friendly as the Magpies’ lone striker, with Gayle once again being completely overlooked – as he had been at Hull City last weekend – by Benitez. United are only awaiting a work permit before a deal to bring Mainz striker Yoshinori Muto to the club can be finalised, while speculation is rife that West Bromwich Albion’s Salomon Rondon is bound for the north-east in a cash-plus-player swap with Gayle. Paul Dummett (£4.5m) made his first start of pre-season in what was something approaching Benitez’s first-choice side, although Kenedy (£5.0m) was missing once again after the birth of his child. Man U defence uncertain? Spurs got some difficult fixtures with half a team on extended World Cup leave and is there not suggestion Son will have to go play in Asia? Would go for another 5mil midfielder over Kenedy - fixtures are awful for Newcastle. Best 3 midfield options for 8.5m or below? Include value options if you think they are better than the 7-8m range...? milkhitarian or Oezil, Siggurdson, Gross, maybe? B + C for me. Nice, maybe Eriksen to Mane. A bit too heavy in midfield? Baby Jeebus wept, how much of an absolute tool is José Mourinho? Moses / Schlupp I'm not too sure about out of obvious reasons.